Full Coverage: 16oz container treats 3000 sq ft.
Now that your roof looks clean again, keep it that way. 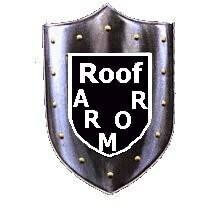 Using Roof Armor once a year wipes out any algae or mold that has grown since the last application. 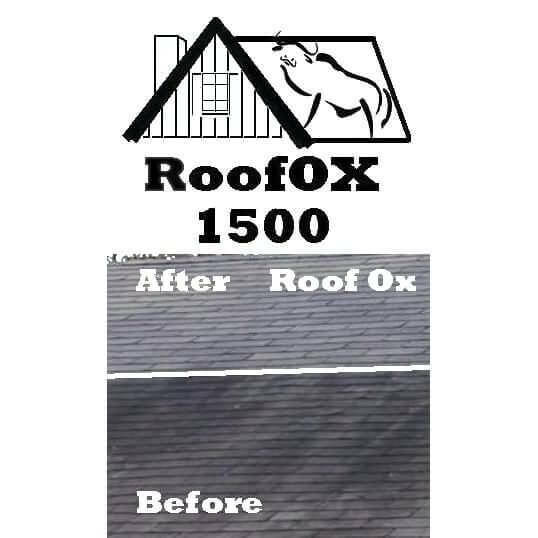 Roof Armor uses an interruption strategy to prevents ugly black streaks and stains from appearing. Annual applications wipes out the algae colonies before they become large enough to be seen from the ground. No Rinse Design: Just get the roof wet and forget about it. New Roof? Keep your shingles looking great! Roof Armor has been used by thousands of home owners who have completed their roof cleaning project and want the shingles to stay clean. For some customers roof armor is used even when a roof has been replaced to prevent the black streaks from ever appearing..
Just look around your neighborhood, if neighbors have black roof stains, you can bet the algae and mold that caused the stains will spread to your new roof. Anywhere in the US, Need it fast? Priority Mail Shipping is only $4 more. I bought a foreclosed home, the roof needed to be replaced. Every year after the roof replacement I have applied the roof armor. It was recommended by my roofer to keep algae and mold stains from ruining another roof. 4 years later and the roof still looks new! I know roof cleaning can’t always make a roof look new, but preventing the stains will keep a new roof looking great.